WE have packaged a soil health tool kit for graziers – a Rapid Assessment of Soil Health (RASH) manual written by well known agriculture ecologist David Hardwick, along with a series of short videos that demonstrate how to carry out the various soil tests. These are presented by David Hardwick. RASH is a tool to help you assess your soil’s health and some of its key properties. Soil is the most valuable natural asset on your property. Without a well functioning soil, farm productivity will not be optimal. 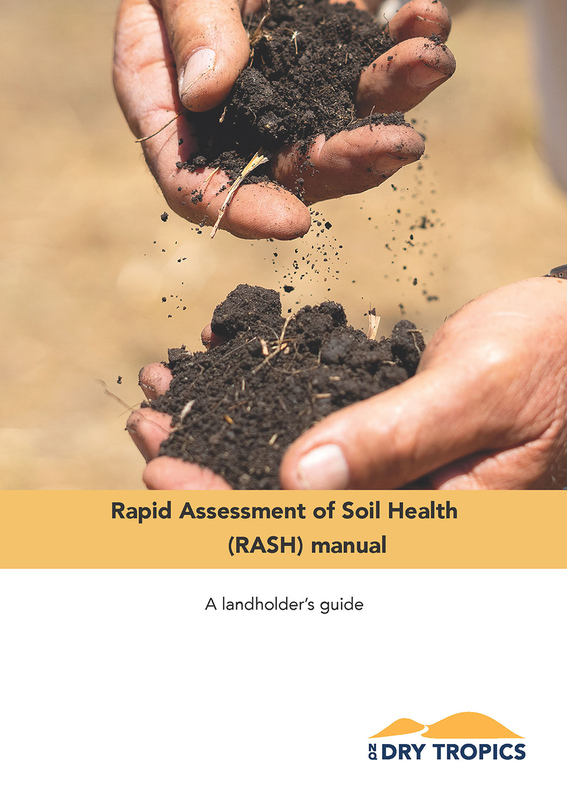 Use this RASH manual and a RASH scorecard (located at the end of the manual) to help you carry out objective assessment of soil health indicators. This information guides you in making targeted management decisions to plan and implement systems of soil health management practices to alleviate identified constraints and maintain healthier soils. Download the RASH manual here, or click on the front cover (pictured). A series of short soil health videos, presented by agriculture ecologist David Hardwick, are also available and will be provided to graziers in the BBB region. They are: Soil Health – The RASH approach; Assessing ground cover; Assessing soil texture; Assessing water infiltration; Soil aggregate testing; Soil organisms and Soil pH testing.